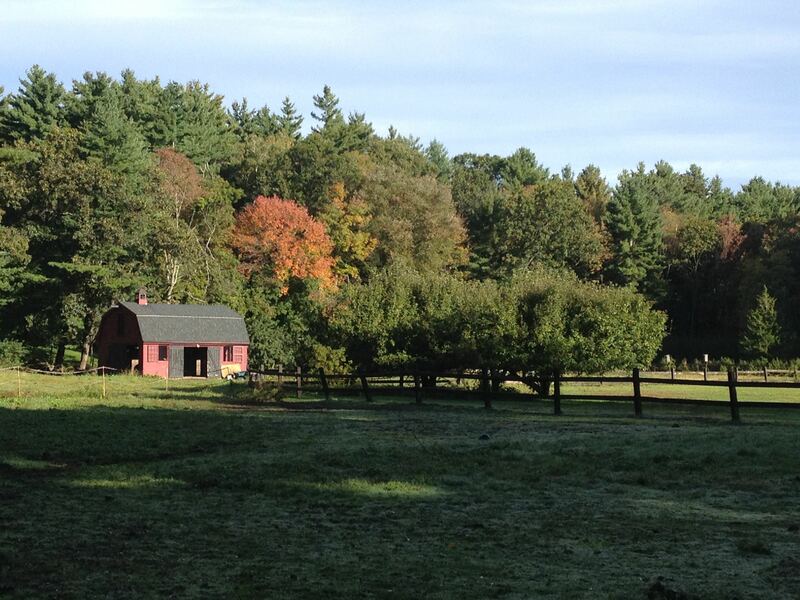 For 15 years I’ve been at a private barn (actually two small barns) just minutes from my house. 15 years ago I moved my horse to a private barn 5 minutes from my house. After years of commuting a half hour or more to ride I was thrilled to be so close — even if it meant giving up an indoor arena, a jumping ring and access to trainers. Here’s a shot of the barns from 2008. 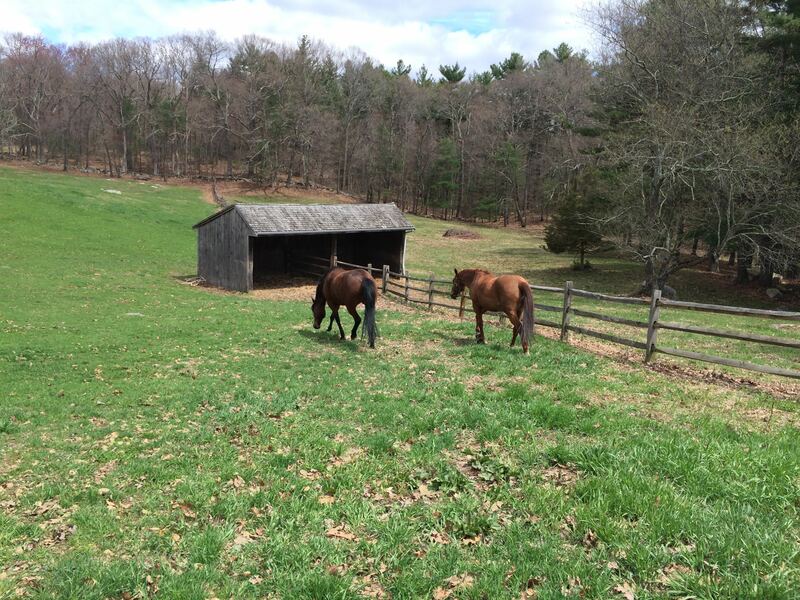 And it’s been an awesome place to keep my horses — 24/7 turnout, reasonable pasture space, right on the trail system. And walking distance from my house. My entire family has enjoyed this land and it is the site of so many happy memories. I have been extremely lucky to be here for so many years. Sadly, two months ago I learned that the property where my horses live is being sold and that the horses needed to leave. Originally, we were supposed to be gone by April 1st but since we had three feet of snow on the ground until, like yesterday, they agreed to let us stay until May 1st. Of course, panic ensued. Freedom is a special needs kind of horse. He thrives living outside but put him in a stall? And he turns into the poster child for OCD behaviors. I couldn’t imagine that he’d survive long in a commercial barn once they saw him cribbing, weaving and stall walking. Luckily, a friend I’d met through the hunt club offered to take us in. Her property is about 20 minutes from where I live and she has a rough board situation — nice pasture with run in sheds — that’s almost impossible to find in the Boston area. Freedom got kicked right before we left. It’s nothing serious but it sure did surprise him. May 1st was the big day. It started with a literal bang. Freedom and Willow were running and playing in their paddock and Freedom got kicked in the flank. Poor boy, he was shocked. 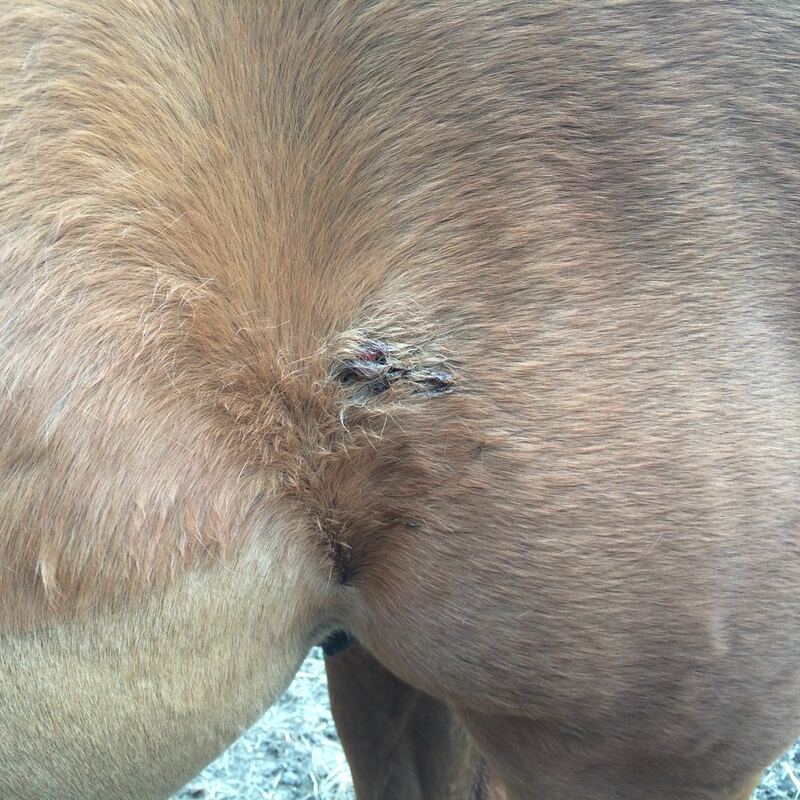 He stopped immediately and started licking and chewing, then looked at his flank with disbelief. It didn’t stop him from eating breakfast, so I figured he would survive. Freedom and Willow got on the trailer and moved that morning. Zelda and Curly will follow before the end of the month. We headed out on the trails to help the horses settle in. When we got to their new abode, the first thing we did was saddle up for a short hack. 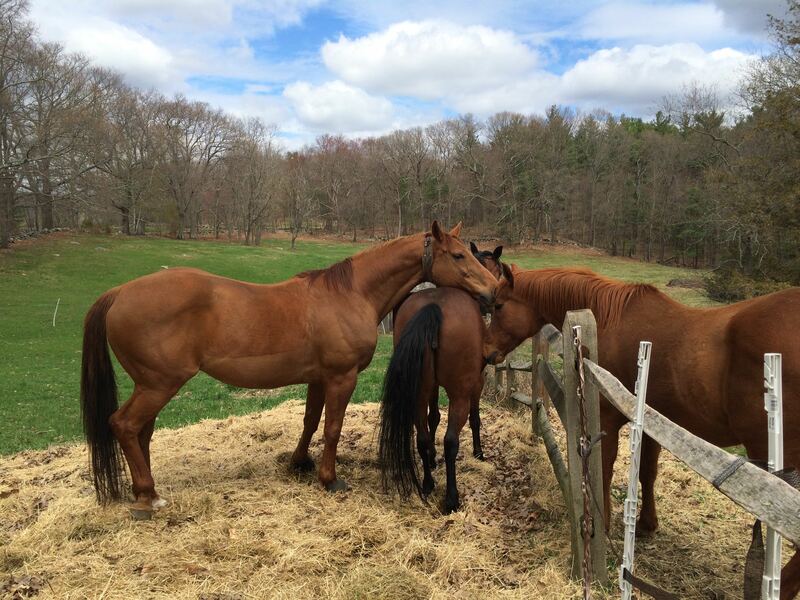 Tired horses are happy horses — and much more likely to settle in without a fuss. 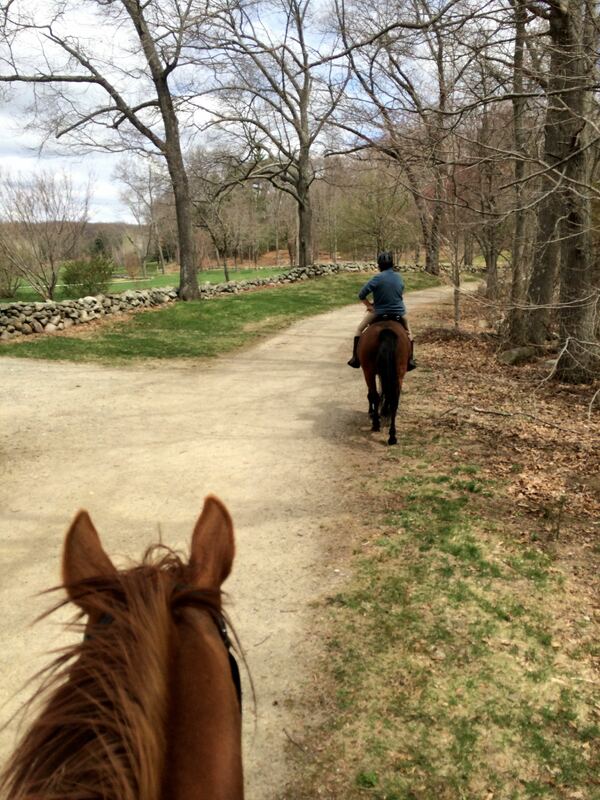 The horses’ new home is right on another set of trails — equally beautiful to those we left. I’ve hunted on a small portion of this trail system and it is fabulous — you can ride for many, many miles. There are even some nice cross country jumps built along many of the trails. Freedom and I jumped a couple on our ride (which is why I know the kick wasn’t serious; he was completely sound). Once we got back, they got to experience their new pastures — which is significantly larger than where they were before and has a lot more grass. 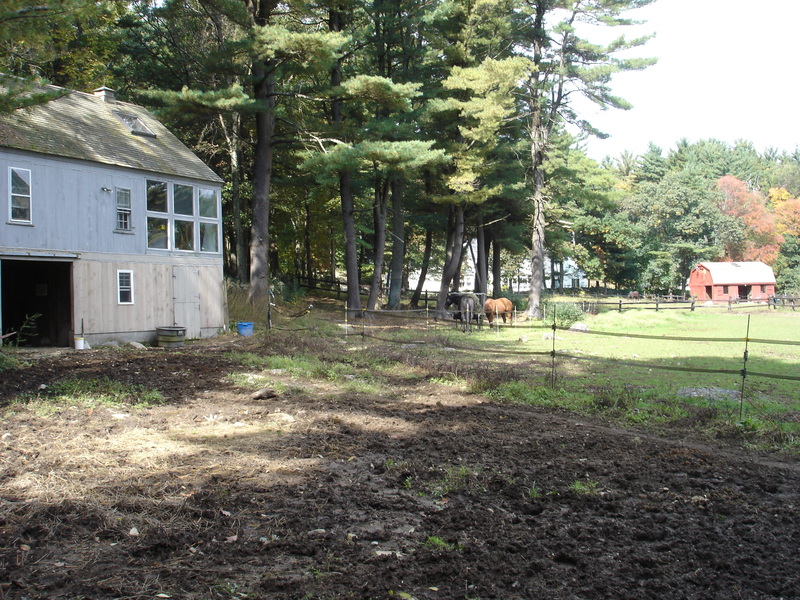 Here you can see their pasture and the run in shed. There wasn’t a lot of running — they were more interested in the grass. What a magnificent place to live! In their new digs they will live out 24/7 with access to a run in shed. I’m sure it will suit them just fine. Making friends over the fence line. 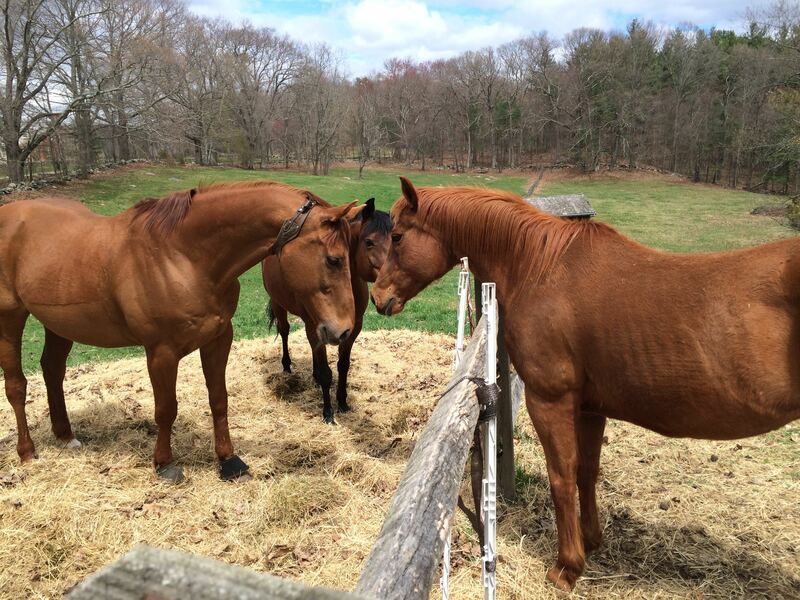 Willow definitely has a type — chestnut geldings! delighted. She loves the attention and is aggressively in heat. Freedom was surprisingly sanguine about the flirting. Usually he tries to keep “his” mares away from any competition. Perhaps the grass distracted him! Freedom is pretty clear that Willow is part of his herd. His body language was pretty clear though. This is his girl! So far, they’ve settled in very nicely. In the beginning they had too much grass (what a problem to have) so we cordoned off a portion of the pasture while they adapted. Even when we opened it up, there were only a few running steps. The grass was way too interesting! Of course, moving all my stuff is daunting. Okay, not just the saddles! I have several tack boxes that I probably haven’t opened in years. I’m tempted to take them right to the dump. If I can’t remember what’s in them I probably don’t need it, right? Here’s to a great new adventure! Best of luck! Sounds like a great situation. My gelding is like Freedom. He gets loony frustrated in a stall. Rough board is a blessing for those types. Moving is tough. I’m so glad you found a good situation for the crew. Will look forward to hearing a lot more about the new place! the new barn looks lovely – hope everyone settles in easily and that the situation is just as happy as the barn you’re leaving! Moving is stressful for anyone, but it is always so hard to find just the right place for your horse. Glad you found it! The property looks beautiful! As far as those tack boxes……I have the same problem with my 20 year old daughter. If you haven’t used it in years why keep it? I ask her. Her answer, of course, what if one day she DOES need them again? Whatever. I figure if she wants to lug around a lot of tack boxes it’s her decision. haha Congrats on a great move!